Mobile Metrics: Consumer Approaches to Mobile Gadget and Phone Insurance and Extended Warranties in Spain offers detailed and unique insights into the behaviour of Spanish consumers in the context of insurance and extended warranties for both mobile gadgets and phones. Based on a primary survey of over 1,000 consumers in Spain, with the latest results (for 2017) compared with the previous ones (for 2014) where relevant, the research provides valuable data describing the extent to which they acquire insurance or extended warranty cover for mobile gadgets and phones plus how take-up rates vary according to a series of key variables. by mobile gadget purchase interface (i.e. in a shop or remotely). by mobile phone price band. Moreover, for both stand-alone mobile gadget and phone insurance and extended warranties, the research also quantifies the distribution channels and interfaces used by consumers in Spain to take out these forms of cover, states the point in time that the cover was bought (i.e. at the same time as the underlying mobile device was acquired or at a later point) and ascertains whether sales were prompted or not and, if so, the type of prompt (e.g. web chat) that generated the sale. Finally, claims frequency data is provided, differentiating between claims made on stand-alone policies and ones associated with packaged cover, and reasons for claims (e.g. accidental damage, loss, technical fault, theft, viral attack) are analysed for all policy types. benchmark your organisation’s performance in mobile gadget or phone insurance and extended warranties: are your cross-selling rates in line with the market averages for Spain described in this study? appreciate the potential for increasing the penetration of policies that incorporate cover for accidental damage, loss or theft, or emerging risks such as unauthorised use of an e-wallet: what is your organisation’s experience? evaluate the opportunities for distributing mobile gadget and phone cover in Spain through channels other than manufacturers, retailers and mobile network operators: to what extent will owners of mobile devices buy through these means? 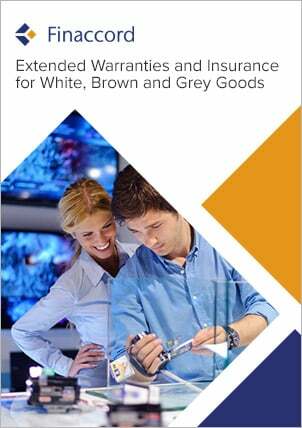 assess the prospects for retrospective marketing and re-solicitation programs: how many mobile device owners buy insurance or extended warranty cover after acquiring the underlying device and how long do they wait? understand claims experience for mobile phone and gadget cover in Spain and what this might mean for the way in which your organisation underwrites or distributes this type of policy.